Put the lemon zest, lemon juice, sugar and the butter into a heatproof bowl. Sit the bowl over a pan of gently simmering water, making sure the water is not touching the bottom of the bowl. Stir the mixture every now and again until all of the butter has melted. Lightly whisk the eggs and egg yolk and stir them into the lemon mixture. Whisk until all of the ingredients are well combined, then leave to cook for 10-13 minutes, stirring every now and again, until the mixture is creamy and thick enough to coat the back of a spoon. Cream together the butter, sugar and zest in with electric whisk (I use a Kitchen Aid). Once the mixture is combined add the lemon extract, milk and the poppy seeds and mix. Take out of the oven and transfer to a metal rack. 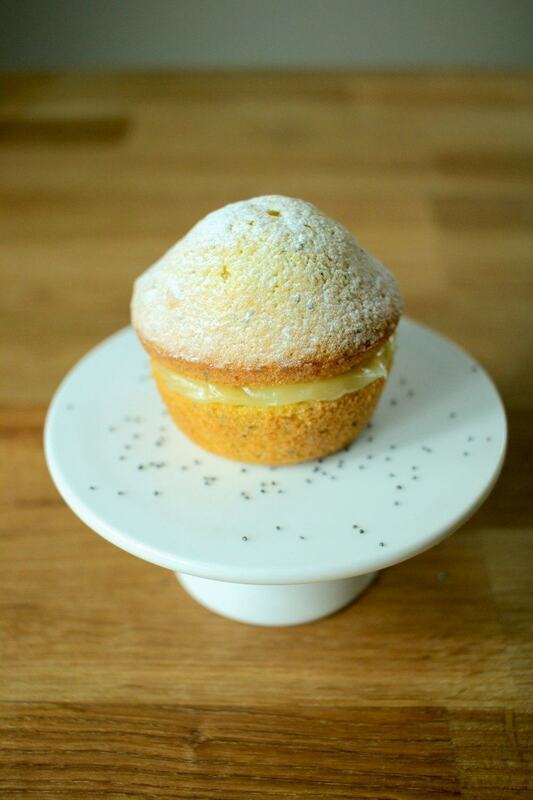 Once cooled cut each cake in half, spread a good amount of lemon curd and sandwich together then dust with icing sugar.